Chris Paul is heading to Hollywood! 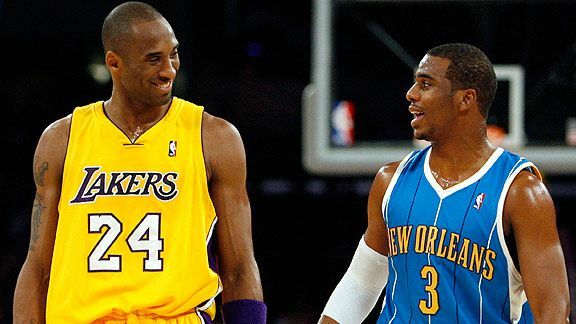 In a three team trade the Los Angeles Lakers have acquired all-star point guard Chris Paul. The Lakers will send Pau Gasol to the Houston Rockets as part of the deal. The New Orleans Hornets get four players in the deal. They will receive Lamar Odom from the Lakers as well as Kevin Martin, Luis Scola, and Goran Dragic from the Rockets.